While it’s entire possible for any one ecological mishap, it’s weak thinking to dismiss hundreds of troubling findings all over the globe for the same reason. We can try to console oursleves that maybe this was just a singular event, a cluster of bad juju and worse waterway management that combined to give us this horror -- but it wasn’t. Last summer was a time of extreme draught and heat for Australia, and this summer looks set to be even worse. This may be the country's 'new normal' for if the situation is due to climate change instead of just an ordinary (if punishing) hot cycle. People are rallying to try and save the kauri trees, although it’s unclear exactly how to stop the spread of the new fungal invader or why it's so pathogenic all of a sudden. 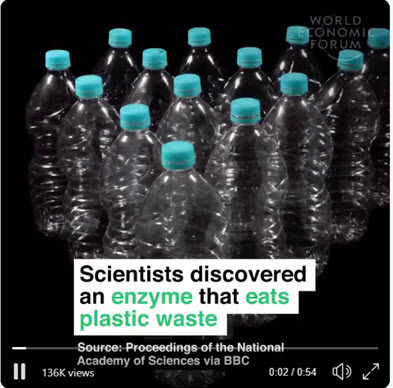 It could be due to another natural sort of cycle (except the fungus was thought to have been introduced and spread by human activity) or it could be a another collapse indicator we need to finally hear and heed. Note the “explanation” given blames the decline on mostly natural processes: late storms, droughts and wildfires. I believe that's because the article appears in a US paper, so no mention was permitted of neonicotinoid pesticides or glyphosate. Both of these are highly effective decimators of insect life -- but their highly profitable for Big Ag, so for now, any criticism is not allowed. Next thing you know, some other major food chain will be wiped out and we'll get oceans full of jellyfish instead of actual fish. Or perhaps some once-benign mold grows unchecked because the former complex food web holding it in balance has collapsed, collapsing Big Ag's "green revolution" into grayish-brown dust. Yes, folks, this is what the world desperately needs at this time. 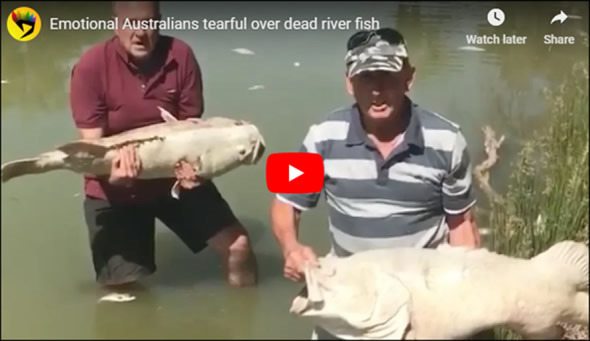 While I’m sure it’s a very heartwarming story, it’s completely diversionary and utterly meaningless in the face of collapsing oceanic and terrestrial food webs. Sadly, this is exactly the sort of inane distraction that the Davos set loves to use to help them feel better about their ill-gotten wealth. And the fact that they're doing nothing useful with it except to distort political processes and rules to assure they get to keep it and even amass more. 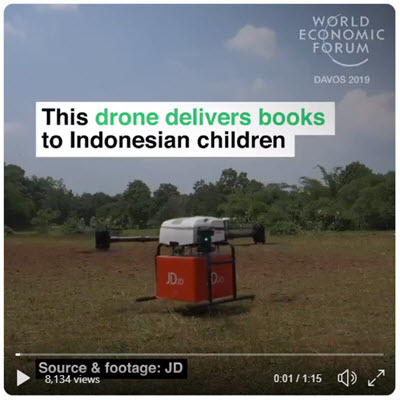 Drones carrying books provides the same sort of dopamine rush to a Davos attendee as Facebook 'like' gives to a 14-year-old. That’s swell, but you know what would be even better? Not using the bottles in the first place. By providing access to safe drinkable water as a basic human right and using re-usable and environmentally-gentle solutions to do so. Instead, the Davos crowd wants to preserve industry and our consumer culture as it is, using technology and gimmicks in attempt to remedy the ills that result. There’s money to be made on both ends of that story. The only thing this approach lacks is a future. Because it’s not-so-subtly based on continued "growth". Infinite exponential growth. 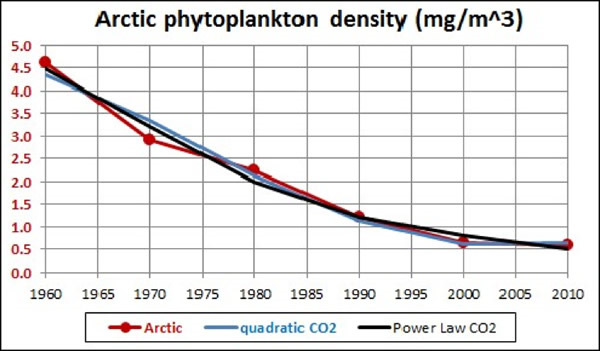 The exact same growth that is killing ancient trees, sea birds, insects, amphibians, and phytoplankton. As they pointlessly fritter away, the ecological world is unraveling all around them. The oceans are becoming barren wasteland.